a new year means new goals! my 2012 goal: be nicer to myself. how'd i do? smashingly, actually. i definitely had my days where i'd get down on myself or frustrated with my mistakes or lack of bravery, lazy days, inability to clean my car, etc. but overall, i feel really comfortable with who i am and where i'm at -- messy parts and all. and it feels really good. my 2013 goal: trust my gut & follow my heart. i find that when i have a tough decision that i'm hemming and hawing about, i almost always end up choosing my initial gut feeling in the end. i want to be better at immediately trusting my instincts because i do believe i have a trustworthy internal compass. NUTRITION: Don't eat gluten until my birthday in February (more on the reason soon). EXERCISE: Work out 2x per week (either running or a class at the gym). SERVICE: Keep bags of food/water in my car to give to homeless people. FINANCIAL: Open a shop on my blog (more on that soon too)! WRITING: Start writing my "fiction" mormon romance novel (trust me, i've got stories). COURAGE: Take one very big risk sometime this year (can't wait to see what this is)! TRAVEL: Go 3 new places outside Arizona (starts with Denver next month)! i love my goals and can't wait to keep track of them! and when i have a month where i keep every single monthly/weekly goal, i get a reward. 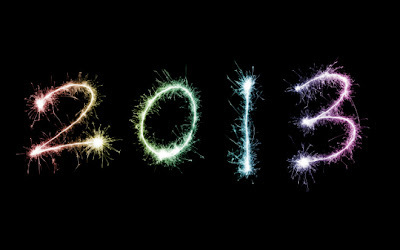 what's your resolution for 2013? I love your goals! Especially the one spiritual place thing. Super great idea. And I can't wait to hear about your shop! I'm excited about the writing one. Mainly because you are very humorous and I think it will be great! I am adopting that spiritual goal, there. Lets go to nature together, sometime. also... does the current dinosaur exhibit at the Arizona Science Center count as spiritual place? ...am I blasphemous??? Can we balance out a dinosaur trip with a temple going? I totally count science as spirituality!! I already decided i can count the library. Shop Katilda now open for business!